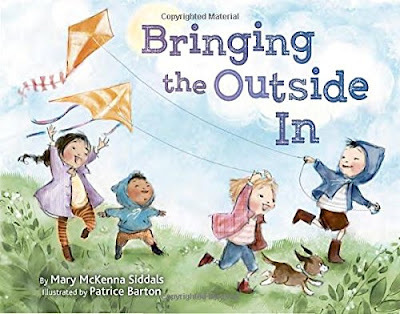 Bringing the Outside In is the title of the book I read for this post, and it really summed up my week. Bringing the Outside In is the story of children during each season enjoying everything the outdoors has to offer and then accidentally tracking bits of the outside in. Along the way, pictures of all the beautiful moments were taken keeping the outside in, and later, they are brought out again to be enjoyed all over. This book particularly touched me because one of my many passions is taking photographs of all the beautiful memories my family and I make. And this weekend, we made lots of memories at my brother's country home. There was a little target practice and some crazy cousins posing. And some humming bird watching. And no day in the country is complete until you sit in front of the bonfire and make smores. When I was growing up I often heard the statement "As American As Baseball and Apple Pie." So it was exciting when we found out we had won four tickets to a Mud Hens' game this past week through the Northern Ohio Scholarship Fund. Bobby isn't that fond of sports, so Emily, her bestie Rachel, my sister, and I headed out for some all American summer fun! The NOSF not only offered us tickets, but we were invited to share in a buffet which featured the most interesting cake for dessert that I have ever eaten. It turned out to be a sheet cake that was a yeast doughnut that had been frosted. The girls posed with the team mascots Muddy and Mudonna. And Rachel even ended up with a pop fly game ball. The rest of our week included other all American past times like swimming, attending Farmers' Market where our friend Katie was a jr. chef for the day, and baking. I attempted my first ever loaf of Italian bread which I sliced, topped with home made garlic spread, and melted slices of mozzarella. The beautiful thing about America is that even Italian bread can be an American experience since our country is such a melting pot of people and cultures. And of course, I read. 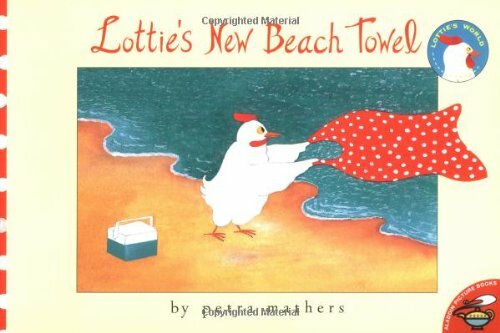 I read Lottie's New Beach Towel which is a fun story of how Lottie the chicken makes great and multiple use of a beach towel her aunt sent her. The illustrations are done in little blocks with most pages having two blocks that help tell the story beautifully. This book was published some time back, but it is definitely worth checking to see if your local library has a copy. Or you can find a used copy online. 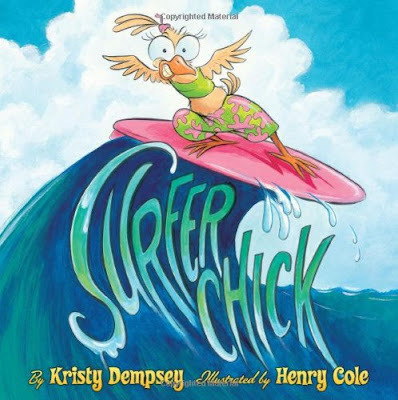 I also read Surfer Chick which is a totally awesome and gnarly surfer rhyming book about a chick who learns to surf from her amazing surfer dad. Definitely a fun read. I'm not sure how I ended up with two chicken books where the characters were at the beach, but there you have it. This past Saturday was opening day of the Farmers' Market that I manage. The weather was fine, I had seed packets to hand out to the children that attended, and it was great to see my veteran vendors and to meet new ones as well. Despite being early in the gardening season here in Ohio, there was some spectacular looking butter crunch lettuce, an abundance of strawberries, lots of baked goods, and wonderful hand crafted items. Emily set up beside me and sold lots of bottle cap and Perler bead magnets. Her friend Katie sold magnets of her own. And two local ladies played their dulcimers for our entertainment. 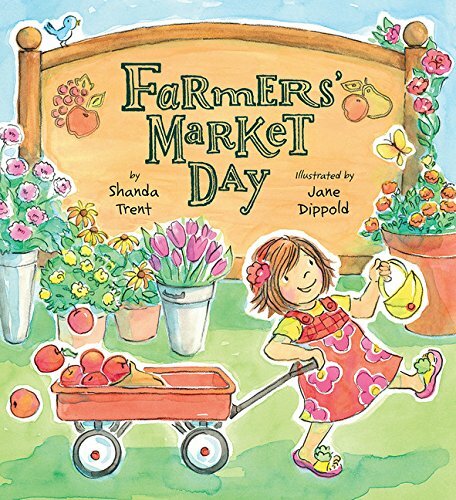 And wouldn't you know, when I went to the library for a new stack of books, I just happened to find a gem called Farmers' Market Day by Michigan author Shanda Trent which is illustrated by fellow Ohioan Jane Dippold. 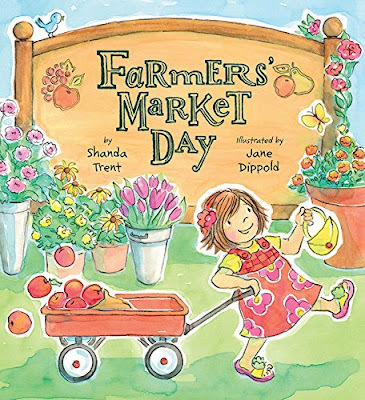 The end pages are covered with beautiful pictures of vegetables, the illustrations are bright and eye catching, and the story tells of a little girl's day at the market and all the items she sees there. Her excitement is exactly what I feel each time I walk the rows and greet my vendors and customers. Emily finished school and summer has officially begun for the Stewart family. This past week, we celebrated the beginning of our summer break by taking our annual family vacation. And I think there is a rule somewhere that says if you drive through Utica, Ohio, you have to stop at Ye Old Mill and get some Velvet Ice-cream. If not, there should be! This particular trip was the first time in ten years that my mother wasn't part of the group, but as I sat by the fire admiring the view of the lake, I knew she would have loved the place I chose. Maybe she even looked down upon us smiling at the grand kids. Seeing as this was our first stay at the Lakehouse nestled on the edge of Burr Oak Lake, we weren't sure what to expect, but the scenery was outstanding, the wildlife abundant, the house extremely well maintained, well stocked, and it had more then adequate seating everywhere imaginable. But the fun didn't stop there because on our way home we stopped at the Hocking Hills Flea Market where Emily sat in a big chair, where we bought the most delicious kettle corn, and where we found some bargains on mini antique bottles. And despite all this busyness, I still managed to read a fun picture book called Duck on a Bike which is the tale of how Duck inspired all the farm animals to go for a ride with none of the humans any the wiser. Definitely a book worth looking for. 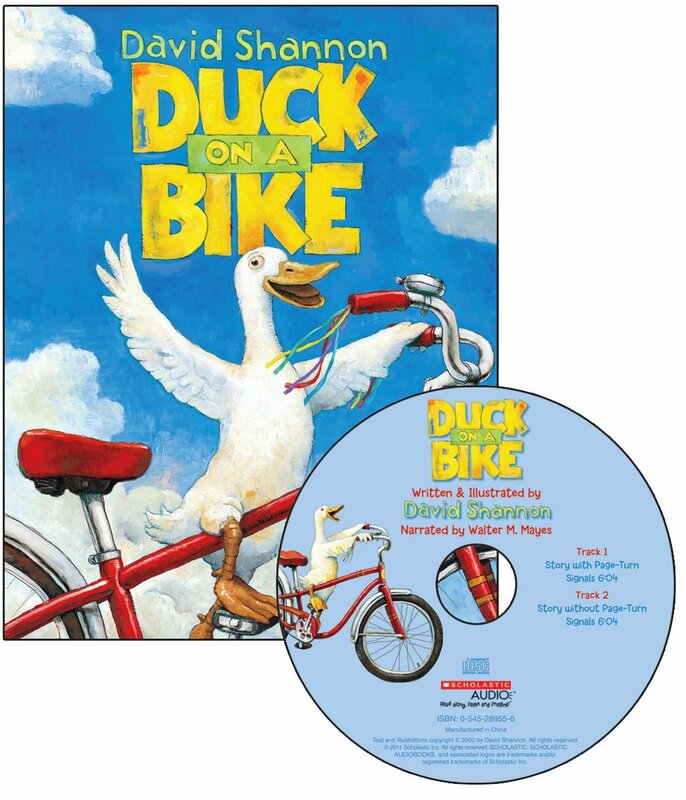 There is even a version with an audio cd available.